years ago has been found, authorities announced Thursday. The kidnapping resulted in global outrage and drew attention to the thousands of Nigerians who have been taken by Boko Haram during its deadly insurgency over the years. While more than 80 of the Chibok schoolgirls seized by the Islamic extremists were freed last year following negotiations with the government, more than 100 remain captives. Many were forced to marry their kidnappers and have had children while in captivity. A Nigerian military official, Col. Onyema Nwachukwu, said in a statement that Salomi Pogu was rescued near Pulka village in Borno state. She had been No. 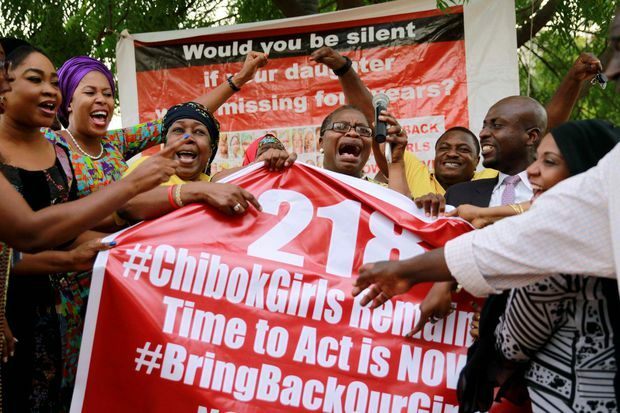 86 on the list of girls abducted in Chibok. Pogu was found in the company of another young woman and her child. Chibok community leader Madu Usman expressed happiness that Pogu finally had been rescued but said efforts must be made to find all those who remain in captivity. The militants abducted 276 girls in 2014. Some managed to escape on their own.